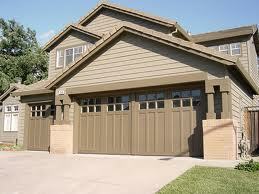 Let us repair your residential garage doors in Vancouver, British Columbia. If the overhead door won’t open or come down, one of our techs will be there to troubleshoot and sort out the problem. Is the torsion spring broken? Contact us to replace it. Is the clicker lost? Get in touch with our team to cancel its memory and program a new remote. When there is trouble in the garage due to door malfunctions, we handle them. We provide timely residential garage doors repair Vancouver services and will be happy to help you with any trouble. You can trust the service of our Vancouver garage door repair technicians no matter what the problem is. It doesn’t matter which door you own either. With long experience in this business and special knowledge of all residential doors, our techs can fix them all. Call us whether you’ve got trouble with rollup, one-piece, or sectional doors. Since each type of door has different parts, our techs come carrying the right spares for your door. Not only do we provide same day residential garage door service but also complete it to your satisfaction. You can trust our techs to replace any part and do any repair needed. Is the door noisy? Does it fail to come all the way down? We often need to troubleshoot in order to identify the reasons for a particular problem. Trust the skills of our local pros. Whether the problem is caused by the worn rollers or opener, we will find it. We can replace rollers, openers, and any component. You can count on our efficient and prompt garage door opener repair. When the motor becomes noisy or the door won’t close, we find which opener part is causing the trouble. And we fix it. Our techs specialize in all brands and have experience with all opener models. Call us to replace the lost clicker or take care of the sensors. No matter what’s wrong, we will repair it. We service affordably and are responsive. 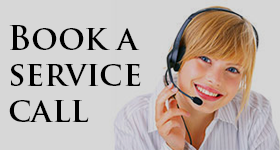 Don’t hesitate to contact us next time you need residential garage doors repair in Vancouver.